Do you need automotive locksmith service in Easton PA? 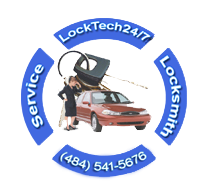 LockTech24/7 is a local Easton locksmith company. We offer a wide range of automotive locksmith services. Our mobile automotive locksmiths can be there with you, in no time. Among our automotive services, you may find; 24 hour emergency lockout assistance. As well as broken key removal and car key made. And if you’re asking yourself, so definitely, we also provide ignition lock repair service. Our automotive locksmiths can simply help you with all auto lock and key related problems. We deal with vehicles of almost all makes and models. Our locksmiths would be happy to assist you, too. With no hesitation, we can do it all. Our technicians are highly qualified, ready to assist you, as soon as possible. By providing reliable, professional and friendly locksmith services, we earned our excellent reputation within the community of Easton, PA.
We pride ourselves of having Easton Locksmith’s fastest response time! Call our automotive locksmiths in Easton any time you may need fast professional auto locksmith on your way. It doesn’t matter what kind of vehicle you have, and where you’re located in the Lehigh Valley. Simply call us and one of our automotive locksmiths can arrive quickly to meet your emergency locksmith needs. It is more common than you think! That is the reason why we have a standby 24hr mobile locksmiths. 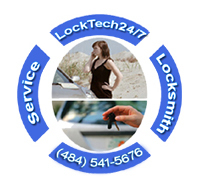 Our locksmiths are ready to help you with your auto emergency locksmith needs. If you don’t require an emergency locksmith service, you can schedule appointment in your convenience. From a quick vehicle opening to lost car keys, first thing to remember, we can do it all. Including repairing ignition locks, cutting laser keys, and programming chip keys. LockTech247 is your best local locksmith in Easton, PA.
We can help you open your car no matter what make or model vehicle you own. Regardless whether you need help with your SUV or truck, you can trust us. You can rest assure that our automotive locksmiths can get you back on the road as quick as possible. Our professional and experienced team is here, prepared to help you from your first call until the job is done. LockTech24/7 Easton Locksmith is the most efficient locksmith company in town! We look forward to serving all your automotive locksmith needs. Have you lock yourself out of your car or your truck, right now? One of the worst feelings in the world is the moment you realize you lock your keys in the car. When it happens you want someone who can get to you quickly and won’t overcharge you for emergency or night time. We have seen it over and over again, getting lockout happens to the best of us, including locksmiths. We’ve also seen it before; people try to pry open their car doors with a coat hanger. And needless to say, but they only damage the door and remain lock out. Whether you lock yourself out of your car or trunk. Also if you lock yourself out of your gas cap, call our locksmiths for a quick and reliable service. We understand how this is an unexpected occurrence. Perhaps the car has locked and the engine is still running. Or maybe you are stranded in the middle of nowhere. You can rest assured that we are on the way! We take special care and attention for all circumstances especially if your child or pet is locked in. No matter what the weather is, or what time, day or night, our technicians are always on standby and ready to respond. We’re fully familiar with Easton PA road and highways they will get to you in the best response time in the city. Have you misplaced your ignition key? Losing car keys can ruin your entire day. Perhaps, you broke your key in your car door and now you need a new automotive key. 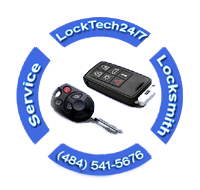 Did you know that LockTech24/7 can provide new car keys and program it at a fraction of the dealer’s cost? LockTech24/7 offers a new car key replacement at very affordable prices as compared to what you’ll find at the dealership. Regardless of the type of vehicle you drive, our technicians are fully capable of producing new car keys that will work great every time, with no damage to your ignition. We stay updated with the latest car key technology to ensure that the customer gets his new key on the spot. Not only are our new car key services affordable, we can complete the job quickly and efficiently. Give us a chance the next time you need new car keys, and we’ll never fail to exceed your expectations. We’re so confident in our ability to get you back on the road quickly, that we offer a guarantee that you’ll be satisfied when you use our services. There’s a reason that we enjoy such a great reputation in the Lehigh Valley community. Get in touch with us today to find out what we can do for you. The Ignition Lock Won’t Turn to ON position, is it Stuck? If your ignition lock is causing problems, no worries, you have come the right place. If you are in Easton PA, and the surrounding area of the Lehigh Valley, We can help. 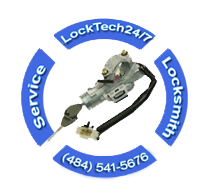 LockTech24/7 provides ignition lock repair or replacement, and broken key removal, we have you covered 24 hour a day 7 days a week.